A bridal 22ct gold mangalsutra with black beads spaced between gold wires and alternating layers of gold patta arranged. 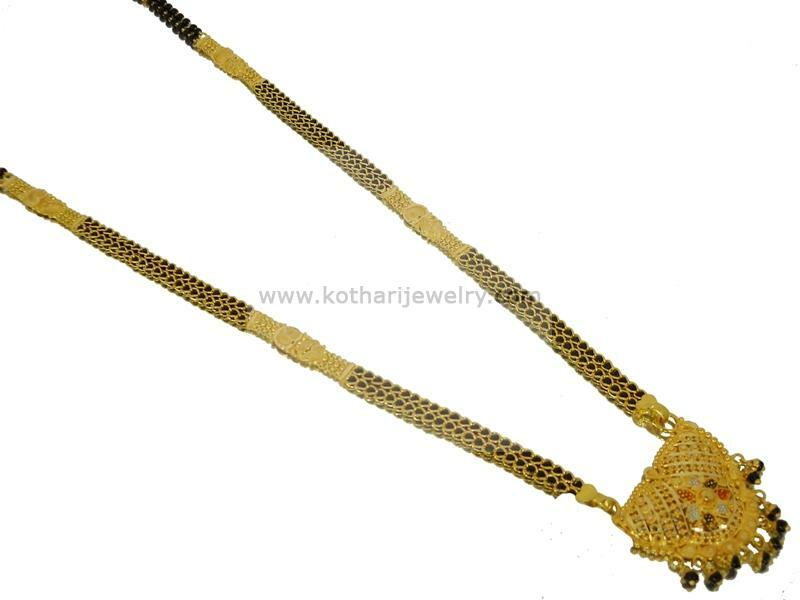 The mangalsutra gives a prominence to black beads as well as gold due to this design. The mangalsutra is 916 BIS hallmarked.